Harmony is not harmless to those who choose to run counter to it. They take their chances and learn the hard way. Same as do base jumpers or connoisseurs of any high risk activity. Attacking others is a high risk endeavour; deserves no special dispensation, and you’ll note that you can not take out an insurance policy based on the fact you intend to commit crime hurting others. 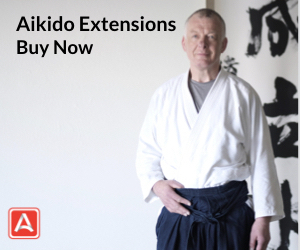 Whether atemi-waza, kansetsu-waza, tachi-waza, even flowing kokyunage, good and real aiki will recoil the intensity of the attack back to the attacker. The outcome will depend on the attack and the force of intention behind it. Nothing else. Certainly not the subtle hubris of a fake ideal people talk a lot about, but fail to put into practice even in little daily matters. 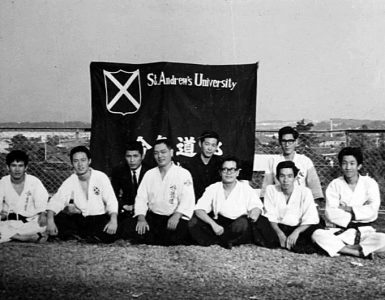 After the disconnection or if an attacker fights, a properly conducted kansetsu, you have no (or very limited) control of outcomes, because the laws of the universe are outside of your jurisdiction and control. Live with it. No-one can predict the outcome. There may be some lighter situations where you may be in a position to modulate, because you can. Some. Where the attacker provides that leeway because the attack is not conducted with deadly intent. All well and good, and then you choose not to double knee drop the opponent’s head or cut out his liver. Get over it people. It’s an abject fantasy that you will “protect your attacker.” Most people’s “aikido” is fake anyhow. Watch the videos that are going around. Some of these fraudsters will not even protect themselves. Protect you partners in training? Absolutely! Of that, you do have, must have, and are expected to have, total control. As for real situations, I don’t know where this silly spin comes from. 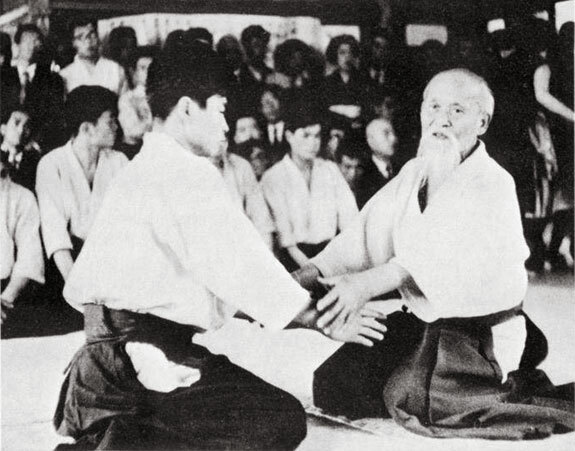 Certainly not the founder, Morihei Ueshiba. Nor will that delusion be concurred with by anyone who has been in a real situation. I don’t know what the interests are of those who propagate the myth, or what they hope to gain. Maybe they just don’t know. They will, after experiencing a real and frenzied attack. If they survive. Contemplate “the universe.” Briefly. Is it a namby pamby all-nice, cutsey-pie cartoon? Or are there tremendous forces involved, fires, gasses, crashes and on earth tsunamis, earthquakes, volcanoes, wind, fire, impact and so forth? I note “the universe” does not have favourites. Unless it’s those lucky enough to be out of the way or those who use their foresight skills to get out of the way of natural disasters. In old times, the gift of clarity was induced by scolding by the old warriors when they saw potential and spiritual strength is an apprentice. Trimming the plant, so it would grow better and become strong towards the light, as they called it. Praise they reserved for the weak, the effete and the frightened because they would die next battle and they did not want to crush them since there was little hope. The philosophy was to offer cautions and attrition in smaller manageable doses than that of nature which would otherwise seriously damage or kill. This would awaken your mind to risk and evoke strategic competence to ensure your survival. It takes enlightenment and fine-tuned skill to employ this method as, in the wrong hands, it becomes counterproductive as mere bastardisation. For one who accepts this method well, mental distortions, opinions and ego diminish as clarity increases and one becomes a true leader, warrior protector and useful to the community. It’s not about “feelings.” People get over having their “feelings hurt”, “read delusions shattered.” Fact is, the greatest culprit is “hurting feelings,” but seducers will massage your head before having their way or taking your.. money or whatever. I prefer the truth, no matter how initially painful. A good teacher is no teacher at all unless he/she can provide some measure of useful discomfort that undulls the mind and stagnant comfort zones. On the other hand, choosing to damage the physical integrity of a biological body will cause real and authentic chronic lifelong suffering, disability or death, and is an immense responsibility. Some dojos are more pernicious in this regard than any street thug. The bottom line is this: When your life is at imminent risk, do you intend to protect yourself or not? Or just to stand around visualizing philosophical ideals? Let the universe find the balance. Otherwise, you deprive the (real) attacker of a lesson he is seeking urgently, on the subject of human empathy. The ultimate “selfishness” is the golden rule, because what you dish out, will return when the aiki of nature inevitably makes the wheel go round or the pendulum swing. Or suddenly when someone skilled in aiki refuses to accept damage to their integrity, as they are entitled to. An undamaged individual can contribute better to the greater good so that when benefit recoils it will increase the sum total of net good. The alternative being anarchic chaos and hellish suffering for all. Nature strives to teach living creatures with pleasure and pain, although humans have found a way to invert this was well. Generally pain is an alarm that something is out of order or harmful and happier feelings indicative that a good direction is being traversed. Because our environments have become so altered from the natural state by pollution, and because we are inventive creatures, sometimes this natural guiding instinct may get confused. The misogi of training is that we strive to reclaim natural clarity, perspective and true context. In other words gravitate towards the creative side of harmony and not the destructive. This includes not frequenting violent bars. But people mainly rumble in bars. They don’t usually go there to kill. The universe is not separate from destruction. It is inclusive of destruction. Look around you. Love is not separate from its antitheses. I think a lot of what O’Sensei and others have said has become skewed over the years. People want to be “one with the universe” which sounds quaint until you realise that the universe is all devouring and kills everything it creates constantly. I think it’s a form of denial people have until after, if they survive, either natural or man-made disasters, and if they recover from PTSD and the bitter and twisted that often goes with it, and if they come out the other end, they find a balance. If a knife “is pointed at your throat from 0 distance,” you are already dead. Killers don’t threaten and threateners always don’t kill; and you are not equipped to guess the difference. Also, they may change their mind mid way. It’s not only too late to give him your wallet. He may not want your wallet and, in making a wrong assumption, you die. The assumption that deadly violence begins with words is unfounded. Sure, hot headed, testosterone overloaded young men rumble. They always have and its all part of posturing and the mating game for primitives. Killers simply kill. They don’t give advanced notice. When you are already in a high risk situation, it is too late to avoid it. If you are going to avoid, do so well in advance by exercising commonsense, awareness and not getting a job in a bar unless there’s no other job available. And if you must, then make sure you get well paid. Name calling is trivial. And has nothing to do with surviving inevitable circumstances. Which, if that pressed a button, it can be cured by 30 years or so, of daily pranayama, cold showers, jogging and a good diet. 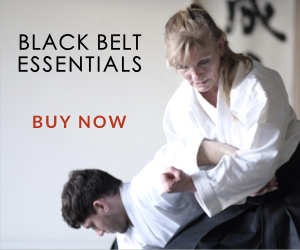 Our Budo training is for self-improvement and not so much as a preparation to fight, unless you are also preparing for a career as a professional protector. In which case, hot air, quaint theories and debate will be the lesser part of it. Generalizations and sweeping statements should not be propounded as knowledge, since every rule has its opposite. Harmony is a challenge. 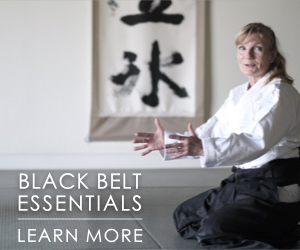 If you have a rigid partner or opponent, you will have to harmonize with that as nage. The falls are going to be hard. In a real situation they could easily be injurious, even deadly. 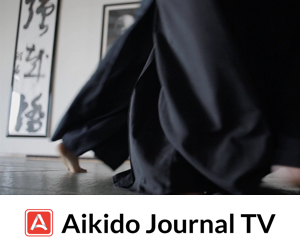 In dojo I recall going to an aiki dance studio once. There was a big, strong, nice young man whom I believe they must have despaired of. They were intensely curious when I seemed pleased to have sincere attacks and dealt with them as they were offered. Your “answers” to my comment in your other text are really curious (not that you meant to answer to me here, of course). Like I said before, if some situation can be handled with “martial skills” (physically speaking), than it can be handled in many other ways. And the “result” will be far better in the “other ways” than in the. In any other situation, must we be prepared? Of course. Best we can. But there isn’t guarantees. In fact, we can never think that we are really prepared for any situation. What we can do is do our best. My point is very simple. If there is no guarantees that we will be able to “survive” any situation, so, spend so much “energy” trying to convince others that training in some specific way will improve their chances of survive a “real situation” is a “lye”. “Lye” because even being “true” that the training improve our skills, is not true at all that in the “real world” this will be enough. Like you said, you never know when someone change her mind. You never know if there is someone else that you can not see that have a gun trying to guarantee that their “friend” will not be in trouble. You’re absolutely right when you say that common sense came before martial skill (I interpreted this way). And like I already said too, you are absolutely right in saying that we need to make our best in our training. But your words sound like if violence are everywhere and every person will face a life/death situation in that know how to “cover up” will save their lives, or, at least, will have e more chances to not get hurt so badly like they WILL if not know how to cover up. Like I said, this is not true. Most people will never face a situation like that, “thanks god”. And most people that will, will dye, knowing or not how to cover up will not make any difference. Self-improvement is what any serious martial art is about. At least, in our days. Life is not easy and the “real world” and a martial art like Judo, Karate and Aikido would be useful TOOLS to teach people to look into the reality and see how they can be useful to TRANSFORM it into something GOOD to us. But what I see most is people afraid of the world trying to become “death machines”, and “teachers” feeding their fears as if this was really a “teaching method”. This can lead to people with better skills (at some point), but will do nothing useful for society. This is so sad true that be aikido or any other modern martial art, with all their “philosophy”, the world is not getting better, because people focus on the “self-defense” only. The more universal “self-improvement” stays in the realm of “good-intentions”. 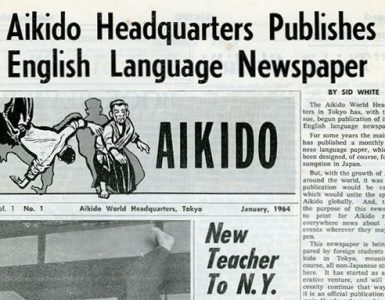 Training aikido is not enough to help people to improve themselves (in the “universal” context). It’s necessary someone that can show reality in all it’s “faces”, not only “violence”, because the “violence” is only a thinner layer of the reality itself. And of course, training to develop some patterns (like cover up) that will be “natural” if someday you face a “situation”, is not more than reflex training and has not to do with aikido. It’s only my opinion and nothing more. Anyway, I like to read your texts, mr Sagiba. I always learn with them. “Save your attacker” is socially acceptable if seen as a bit naive, whereas “control the situation completely in order to disallow violence” is more easily recognized as domineering and neurotic. So we promote the ideal of saving our attackers. It’s very kind of us. OTOH, it is good to be kind, but it is also good to show respect, and to give people what they ask for if they insist upon receiving it. The attacker may or may not be a great person in bad circumstances; it’s hard to judge in the moment. But I know that I am! So my priority is to continue my own existence…you know, for the sake of the universe and all.